This evening STV1 (Swedish TV) featured a documentary on ABBA. It was “mycket bra” as a Swedish would have said about it. It kept me thinking if there is any such iconic group in Eritrea, if not in an international context, at least at national level. Maybe you could chirp in your ideas on this. Grabbing this opportunity, I thought of sharing here the following piece from some years back. There is always a talent we see evolve in front of our eyes. We don’t doubt that success would be its last destination. We only give it time to fully develop and be the talk of town one day. 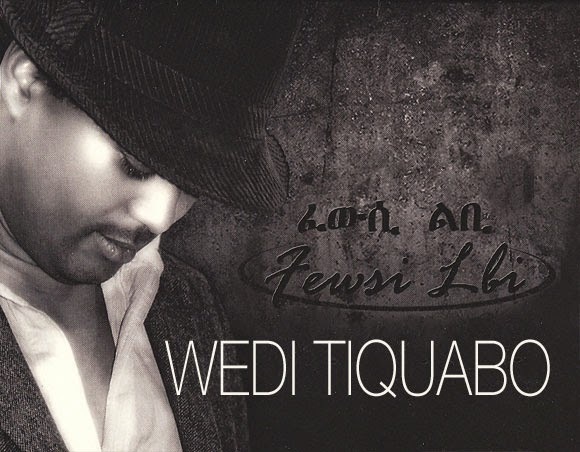 And Wedi Tikuabo is one such talent for me. Seeing him play the kirar (mesenqo) for the first time at school, we wished to spend every evening to listen to him sing. Many of us who were his juniors in high school crowded around him after school when he played the kirar. Whenever I listen to Yohannes Tikuabo sing now, I always go 18 years back in time. Although we couldn’t foresee his prominence in the Eritrean music then, we saw his talent even in dramas he acted with the Halai Comprehensive Secondary School drama group. The scenes of a drama in which he acted as a young man who turned mad for the love of a girl are vivid and unforgettable by many. Ever since the graduation ceremony of the first round national service, many people have waited Wedi Tikuabo to release an album. Many of the single songs he released for over ten years were certainly delightful. Singles like “Rigbit Meror”, “Nimenom Tefkri”, “Kebebuwa”, “Luwamey” and others were real hits and had rocked many of his fans. When a friend asked Wedi Tikuabo to sign him an autograph in the second half of 1990s – when he was not known to a wider audience – he put his signature with a sentence that reads “One day I’ll be someone, and you too.” He has certainly made himself a name and is someone – an Eritrean music icon – just like his words. Although he stated on an occasion that he has got over 150 songs, Wedi Tikuabo had never released his own single album till May, 2009. There could be many reasons for his delay for such a long time; however, some of the reasons, according to an interview he gave in 2004, were that he wanted to keep his work up-to-date and timeless, he got dissatisfied after he recorded some of the works, and that he was afraid not to disappoint his fans who always encouraged him. After the delay, the time has come now and the album “Fewsi Libi” has reached a wide range of audience. Unlike Wedi Tikuabo’s fears, his fans aren’t, for sure, disappointed. There is no distinct feature one can give to all the songs in the album; it can’t be argued that the songs have similarities in their melodies which is very common among many singers of the country; if we try to find a distinct feature among the songs, it will only be the profundity of the meanings of the lyrics which are full of figurative languages. The whole album can be heard anytime with no fear of being disturbed. It includes eleven songs that fall under the divisions of traditional and modern beats. The traditional songs have melodies that make them different from the commonly incorporated traditional melodies. While the modern ones are packed with slow pop, disco and reggae beats. All the songs could not be regarded in one style; as a result, they are catered with a variety of them making a listener pick different favourites. Wedi Tikuabo’s voice is well-known for being sonorous; however, at times it had some vibrations when performing live on stage. In “Fewsi Libi”, it appears that he has taken great care in his voicing. There isn’t much unnecessary vibration of his voicing in the songs. One can’t just go without wishing that he had sung all of his songs in reggae beat as his voice fits really well for that beat. Most importantly, all the songs in “Fewsi Libi” carry their listeners to the end. They have a clarity that enables a listener to keep up with their lyrics. Although this could depend on the mixing quality, his strong voice has also helped Wedi Tikuabo to be heard over the accompanying music. This is a very important issue as the voices of many other singers are usually dominated by the music; consequently, their voices are neither appreciated nor are able to transfer the message of the song. The lyrics of the songs are really full of imageries and figurative languages unlike many songs produced these days which lack depth in their expressions. In stead of literary expressing wealth and destitution, Wedi Tikuabo used ‘butter, honey and number of cattle’ in contrast with ‘pelt for a bed sheet as an only possession’ which all are deeply rooted expressions in the society and are not used very often these days. Two songs in the album – “Gue Leminey” and “Fewsi Libi” – have a persona in them who is from countryside. Wedi Tikuabo, who grew up in a city, composed the lyrics with so many terminologies taken from the lifestyle in countryside. In the first one, there are some elements that have some deep roots in Tigrigna oral traditions. The persona in the lyric tells his lover that he set out early in the morning to protect her from a rogue of their village – named Wedi Haile – who breaks water pots of the village girls. Oral tradition has it that Nigusse Wedi Elfu, a legendary figure in the southern highlands of Eritrea, used to break water pots of village girls as a shooting practice. There is also an oral poem collected by Carlo Controsini that opens its verse with the phrase ‘Gue Leminey’ (meaning green or unripe lemon). The usage of such types of symbols is very rare among other singers nowadays. “Fewsi Libi” (a medicine for the heart), also the title of the album, is about a young man who left his ploughshares, cattle and farming to track his love down. The love of the young man is symbolized a medicine for his heart and an angel; and lists the problems he faced for not finding her. In both these two songs, Wedi Tikuabo used vocabularies that are fit for country life; and it appears that he has made efforts to dig out those expressions from the traditions which are fading in the day-to-day language of the urbanized society. The two patriotic songs in the album – “Za Adi Amenti” and “Mieraf” – are no different from the other songs in the deep meanings of their lyrics. They both signify the stand of Eritrea and its people as well as the challenges they are going through. “Kedereyti”, “Lbey Ayneberen”, “Beluwa” and “Fikri Teasiru” are songs that get general appeal by many just listening to them for the first time. The first being in a fast disco beat, the second reggae. The lyric of the song “Lbey Ayneberen” draw a picture of the persona and smitten one completely with it. In it, the persona daydreams about his lover during a discussion with his friends. The juxtaposition of lonely feelings despite in a crowd of friends passes the message of the song. Wedi Tikuabo also reminds those in their late 30s or early 40s about the time when they wanted to date a girl in their teens. Going back for over twenty years, the way the youth asked girls to go out with them was like in the song “Beluwa”. Now young people of both sexes appear to have freer atmosphere to talk and create relationships. The song fits decades back when those who loved had to keep it within themselves and try to show it by persistent body language or indirect means of letting the girl know it. 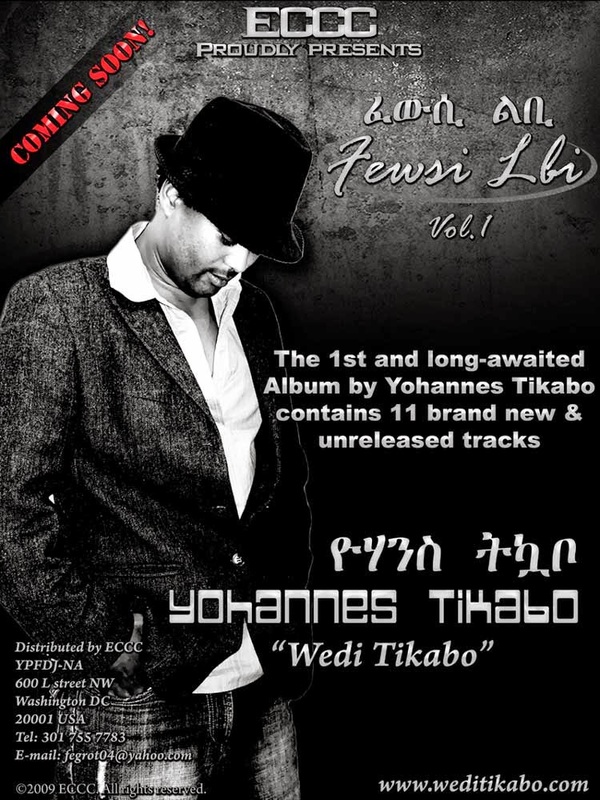 In the fourth song “Fikri Teasiru”, Yohannes Tikuabo personalizes love and calls it pitiable. The song goes that love was imprisoned for tying down two hearts. “Mezekerta Nay Metaabitey” could make one drop his tears if he had ever tried to check out old photos. As it is about the memories that flood from looking at old photos; it really is so touching. Especially for Eritreans who went through the losses of brothers, sisters, friends, fathers and mothers during long and continued wars, this song puts one in deep thought and memory. Sung with predominantly strong vocal harmony and minimal instrumental backing, its lyric are emotionally direct that sink into one’s mind with profound effect. Wedi Tikuabo has used a single instrument – kirar (mesenqo) – that sounds an acoustic guitar. Its intro music goes for over one minute; and it really sets the mood for mind-boggling thought. This song could mean listless things for every individual and many things could be said about it. The style he has used in this song appears to be experimental; and it probably would encourage others to produce some of their songs with the accompaniment of a single musical instrument. One thing that should be stated here, as a defect, is the absence of live drum and other Eritrean traditional musical instruments (except kirar) in the songs. Disclaimer: This blog takes no responsibility in the distribution of the above shared music as they have already been uploaded in the net by outside sources.